Oh my… I have to admit: I too was sceptical when I saw the ingredients, but this is finally THE recipe I was looking for. This cupcake is so light, airy and fluffy, it basically melts in your mouth. However I think I filled the liners too much. I filled them “just a little over half full” but “half full” would have been better, as I ended up with 12 cupcakes instead of 15, and they sinked in the middle instead of being perfectly domed as described 🙁 Good thing I tested the recipe before my daughter’s birthday… I need to try it again. It is worth the perseverence. The taste and texture is just perfect. Actually forgot to ask: Do you have a similar recipe for a white/vanilla cupcake? I am also desperately looking for a light, airy and very fluffy white cupcake recipe ! Thanks for sharing your results, Daphne! Yes, I know what you mean. It’s hard to believe that they will rise that high! So happy you enjoyed them despite the sinking in the middle. Just made them. Easy and delicious. A great go-to recipe. If you have children or grandchildren, a great recipe to make with them. I could eat these just like that – nothing else on top! I love a good chocolate cupcake and these look perfect. Love the domed top. Great recipe Chris. 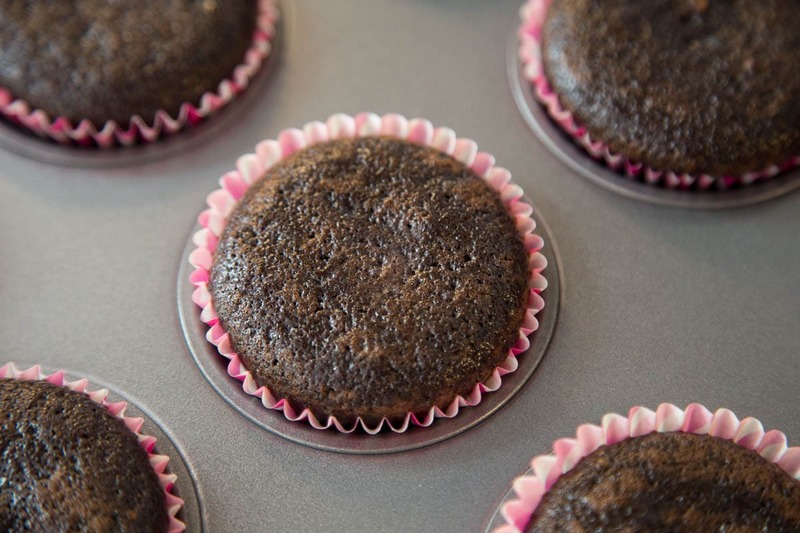 Everyone needs an easy, one bowl chocolate cupcake recipe in their arsenal Chris! Can’t wait to bake a batch! We are not coffee drinkers, as a substitute should I add additional milk? Hi Stephanie, you could just use extra milk or even substitute buttermilk for all of the milk. Enjoy! Two April birthdays coming up and I know this recipe will be perfect. Looks like a twist on the Hershey’s cake recipe we love! These are perfect! I added a peanut butter cup to each one. Topped with chocolate peanut butter frosting. Thank you for sharing! What a wonderful idea! I’m going to try that! I made these last week and they were great. We plan to use this to make a cake for an Eagle ceremony. Do you know how it would adjust heat? Time? Ingredient amounts? To make a 14″ round cake at 3″ deep? Hi Andrea, I have only made these as cupcakes so I would hate to advise you on this. Did you wind up making the cake? I want to make it into a cake as well. I loved this recipe as cupcakes. I tipped them with a peanut butter frosting… so I’d love to know how this came out as a cake. There an old fashion chocolate cake I’d like to recommend! Black Magic Chocolate Cake! Should be floating around Pinterest!!! I have made it for weddings , birthday, graduation and every time I hear someone say “ I’m not a chocolate cake person but this was goood!!!! !” It’s almost like this recipe but double the ingredients ! I will look up the Black Magic Cake, it sounds wonderful! Do you make yours in a round or rectangular pan? These were so easy. They are so delicious. I will be using this recipe again and again! I tripled the recipe and I had a disaster. I needed 36 cupcakes and chose this recipe since I never have been able to achieve domed cupcakes like many of the posters. I have baked cakes and treats for years and years, and I know from experience, I should try a recipe first. I filled the papers half full but they still rose over the liners and stuck to the pan. I use an ice-cream scoop to make sure each cupcake is filled the same. My baking powder was fresh and the only change was I used instant coffee dissolved in the required water. I trimmed the cakes and I am sure that my frosting will cover my really ugly cupcakes! I will try this recipe another time, when I am not under the gun to take the treats to a Mother’s Day luncheon. I tried one and it tasted really good, so that is not a problem. P.S. 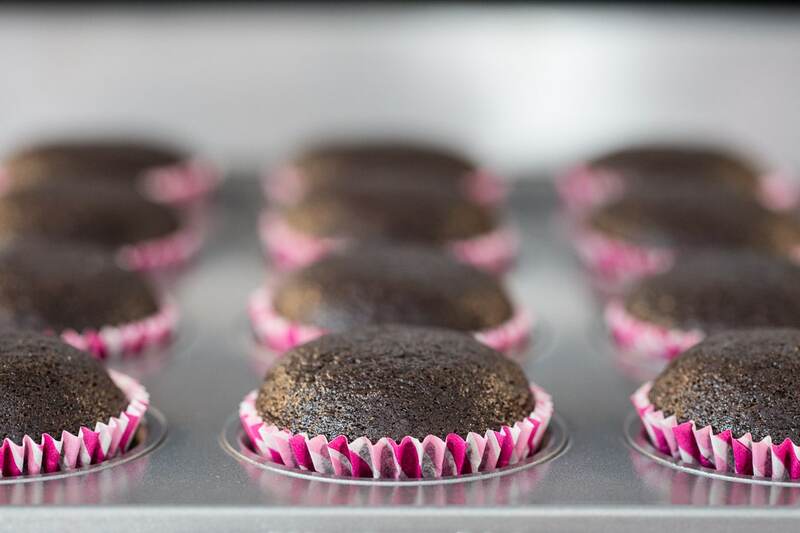 I am going to “invent” a cupcake case/paper that is marked 1/2 full, 2/3 full and 3/4 full…little notches on the inside of the papers to indicate the volume. I have terrible depth perception I guess! Hmmm, so sorry you had problems with this recipe. I hate wasting good ingredients. It’s been a no-fail every time I’ve made it. The recipe is certainly tasty! Very good chocolate flavor and truly moist. No worries…they won’t go to waste. I won’t do the frosting swirl just in the center, but cover the entire top, so they will be fine. I will post after the Mother’s Day luncheon tomorrow. And I will be doing another test with the original recipe! 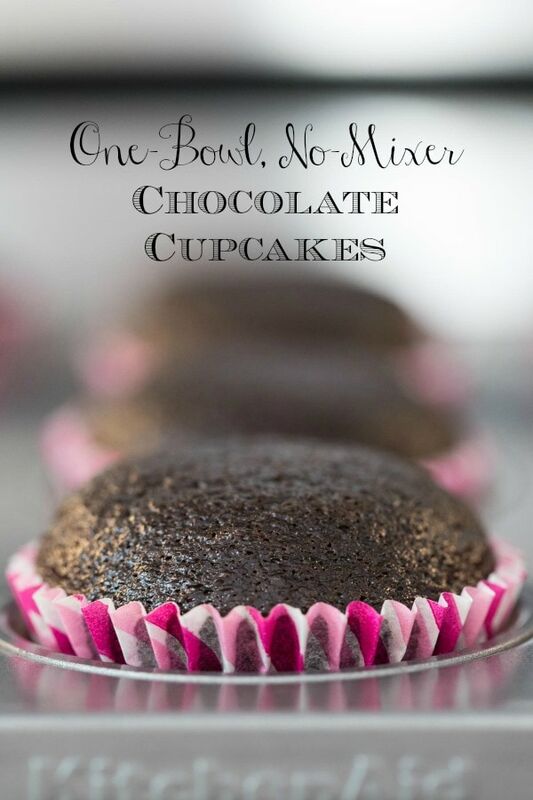 I will never make another chocolate cupcake recipe! These are perfection! I doubled this recipe with no problems. I used bottled iced coffee in lieu of brewing a cup. Thank you for this recipe-easy and delicious! Yay! I love that you love them 🙂 They are definitely our favorite chocolate cupcakes of all time! Thanks for taking the time to share your results, Sara. These are absolutely delicious! 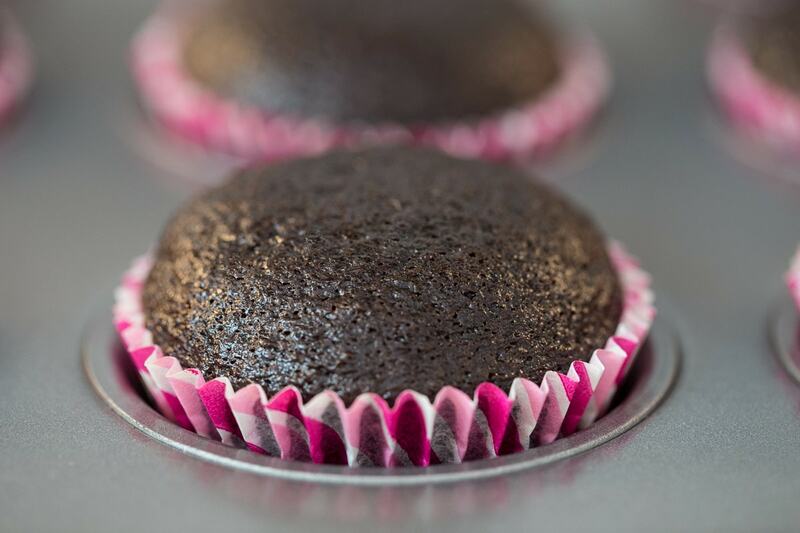 This will now be my go-to chocolate cupcake recipe. Thanks for the great recipe. Can i ask if you have successfully doubled the recipe to make 24? Hi Tracy, I haven’t doubled the recipe but I think it should be just fine. So happy you enjoyed them! Can I buy any type of coffee? And how exactly do I make it wet? If you don’t drink coffee, you can either skip it or just use 2 teaspoons of espresso powder and 1/2 cup of water. I made with King Arthur GF flour (cup for cup) and didn’t change anything else in the recipe and it turned out fantastic!!! Now I have the PERFECT, QUICK and EASY chocolate cupcake and it’s gluten free!!! Thanks for a great and delicious treat! Thanks so much for sharing your results, Princess! That’s so great to know! Just made these and they are DELICIOUS ! Thanks for sharing this recipe . Best chocolate flavor and super moist . Thanks for letting us know Pam! So happy you enjoyed them! Hi ,can i substitute butter instead of oil ?if possible how many grams ? Hi Shani, I’m a big butter fan and wanted to do the same with these cupcakes but I tried them with the oil and they’re WONDERFUL. I don’t think you’ll get the same super moist results with butter in this recipe. Also, because they’re chocolate and so full of flavor, you wouldn’t even notice the butter taste. Oh my gosh, vanilla vodka? They sound wonderful! Thanks for taking the time to leave a review! 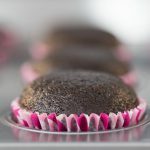 I’ve made these cupcakes many times and they are amazing…even adapting for gluten-free, which our entire family must adhere to. Would this recipe be adaptable to a layer cake? If yes, what modifications would I have to make? Thanks so much. I haven’t tried this for a layer cake so I can’t say for sure but I think it would work well. Of course the baking time would be longer but I can’t say exactly. I’ll try it next time I need a cake and add the results to the post. Hi Mary Ann, I haven’t tried this as a layer cake but I wouldn’t think it should be a problem. Please let us know if you try it. Hi Mary, bravo to you for making cupcakes for your brother’s wedding! Yes, I think this recipe would double without any issues. Just out of the oven and am impressed . Quick and easy to do. Soft and fluffy with a beautiful domed top . I reduced the sugar and athough good I will adhere to the recipe next time as in my opinion it needs to be a bit more sweet . Will definitely do again . Yay!! So happy these turned out well for you Julie!